Outside her office at the Peaceful Spirit Treatment Center on the Southern Ute Reservation, Navajo poet Esther Belin takes in the thin late-fall sun. Here in the Four Corners of southwestern Colorado, where the Southern Ute, Navajo, Ute Mountain Ute and Jicarilla Apache reservations come together, the landscape is both beautiful and brutal in its spareness, much like Belin’s poems. She’s also an intake counselor at the addiction center, and she lives and works in that world of intersectionality, where language and identity overlap with the triumphs and failures of addiction. Belin’s first book, From the Belly of my Beauty, was published in 1999 after the birth of her second daughter. It was a more linear look at being an Indian woman growing up in a white world, stretched between two landscapes: Southern California, where her parents were placed through the federal Indian relocation program, and the Navajo Reservation, where she’s now spent 20 years with her husband and four daughters. That book, a highly visceral depiction of an off-reservation Indian (Belin says she’s comfortable with that word), challenged the stereotypes of Native identity, rebuking the kind of questions she’s been asked since kindergarten. It won the 2000 American Book Award. In the nearly two decades since, she’s taught college and high school writing, finished an MFA program, started counseling and settled into the Southwest. Of Cartography is a sweeping reflection of all that, showing how tribal language can translate feelings and how poetry can help heal the wounds from a history of marginalization. Belin twists up her long black hair as we talk, revealing big turquoise earrings. Our conversation skips between critical race theory, road trips, her daughter’s college syllabus, and the arcane knot of reservation land-use policy. Her poems braid disparate lines together, too, juxtaposing small-scale details, like evening chores, with the history of Indian relocation policy. Esther Belin's poems are presented in a graphical way. 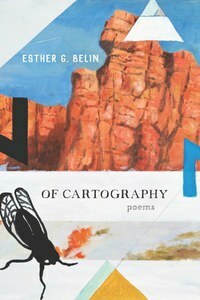 Because of that, she says, she started Of Cartography with form instead of content. She sought to reflect the fluidity of tribal language, in which there’s no single linear way to tell a story. 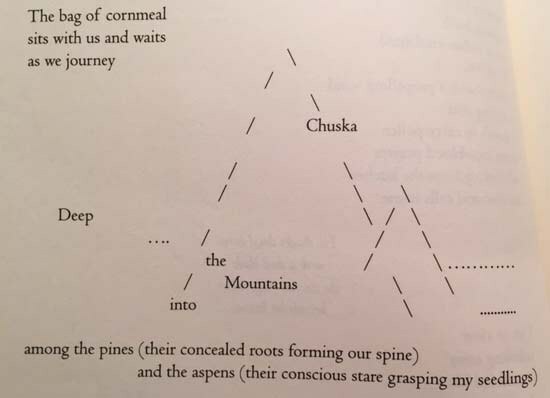 Many of the poems can be read in several directions, and in poems like “Before we Begin,” she plays with line breaks and blank space, to show motion and connection. 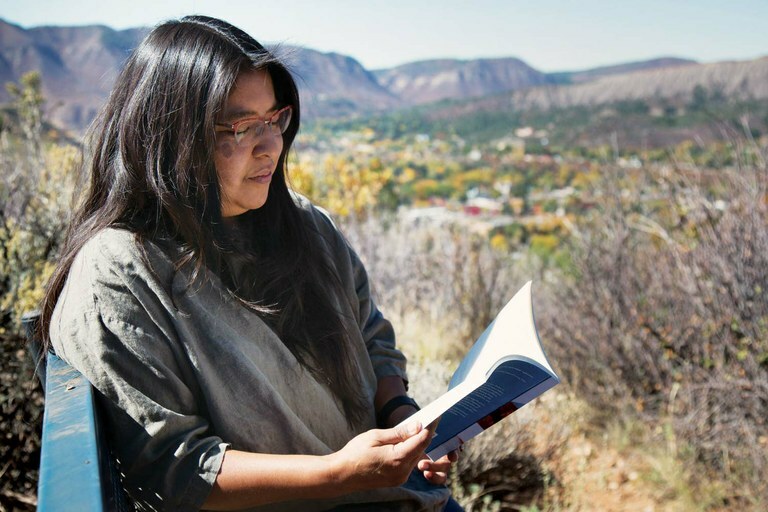 She’s also working with three other writers on a Diné reader, an anthology of works from 20 Navajo writers, which she sees as a resource for Navajo students and teachers who come to the reservation without a background in tribal scholarship, a way to bridge the gap between state curriculum and Navajo culture.